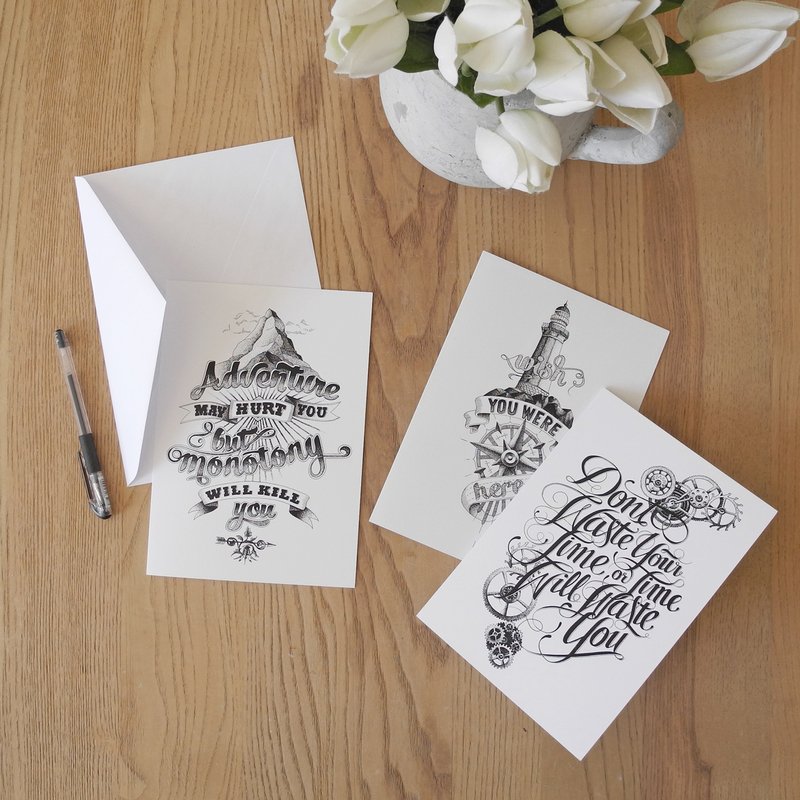 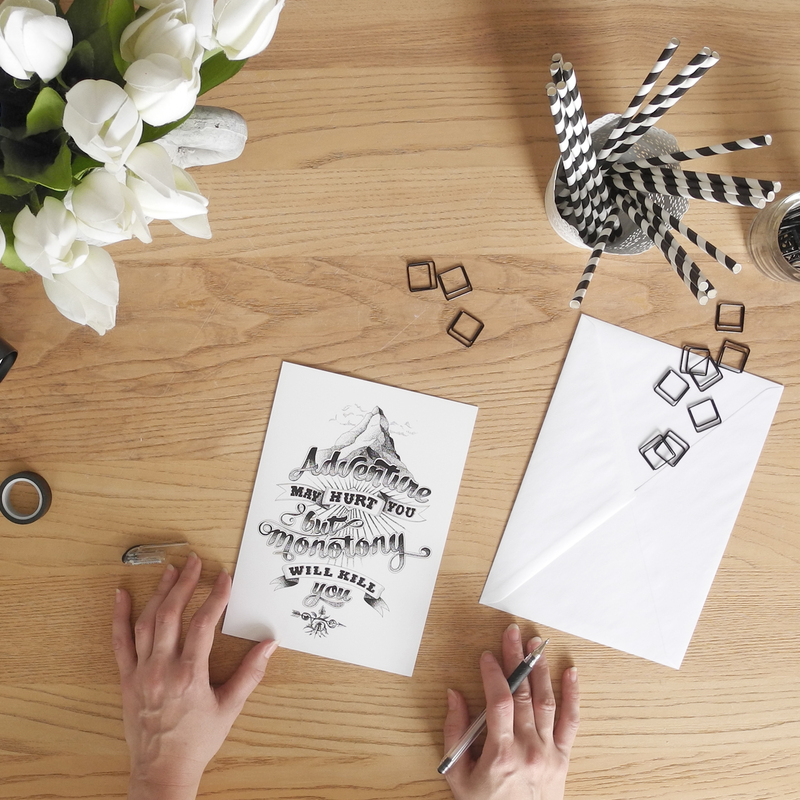 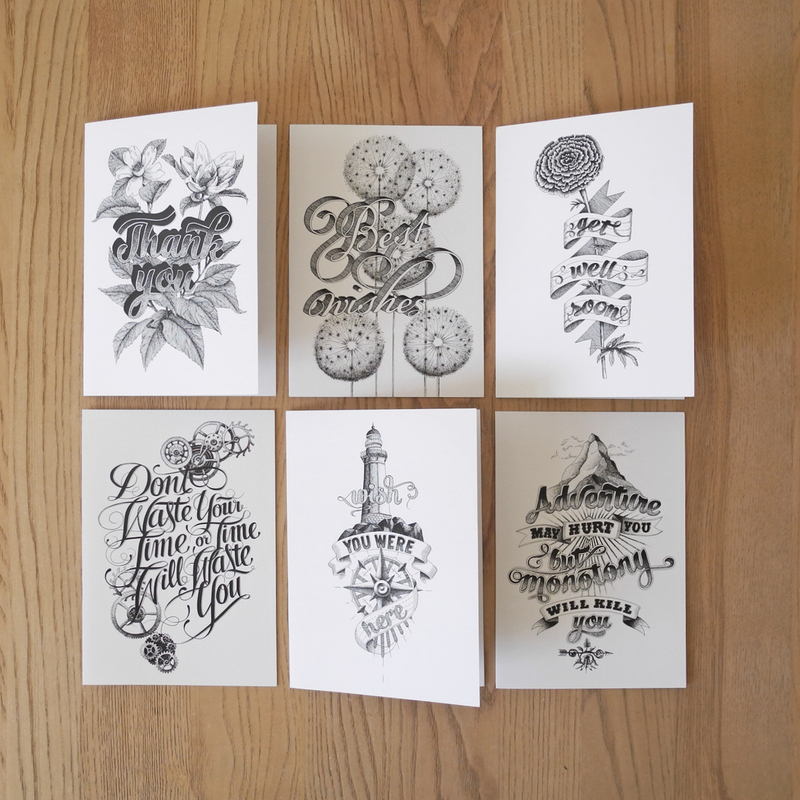 Our lovingly illustrated folding cards add character to any space or occasion. 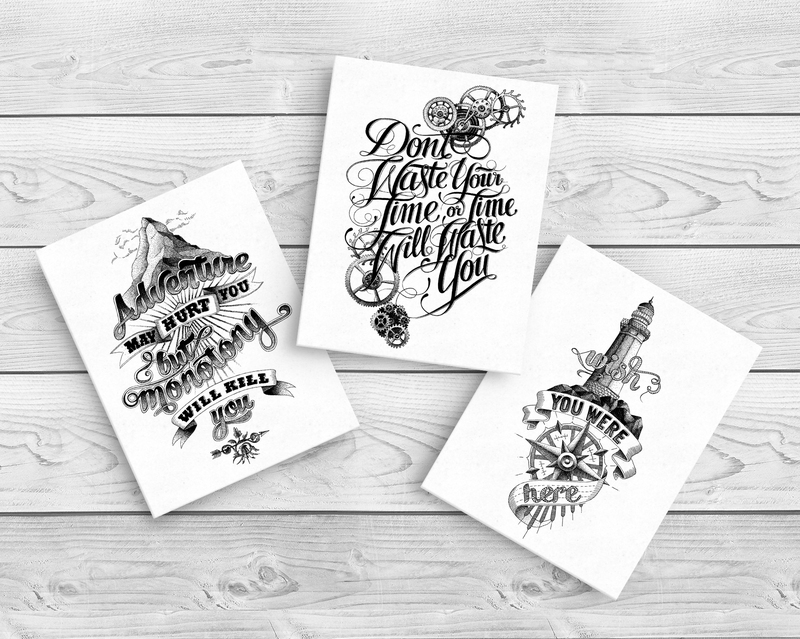 Frame them around the home or surprise a special someone with these uniquely charming gifts. 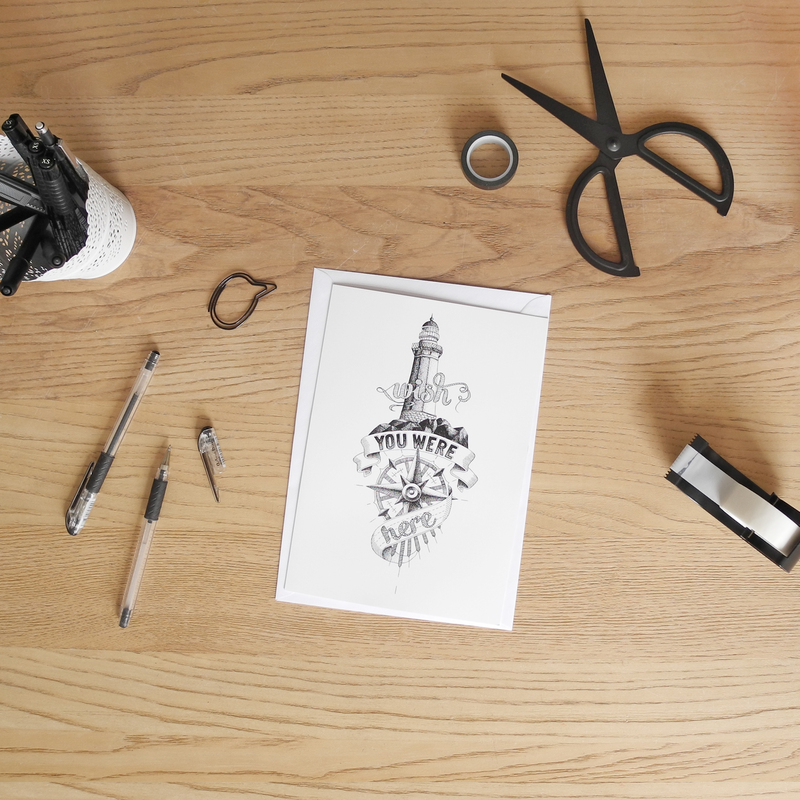 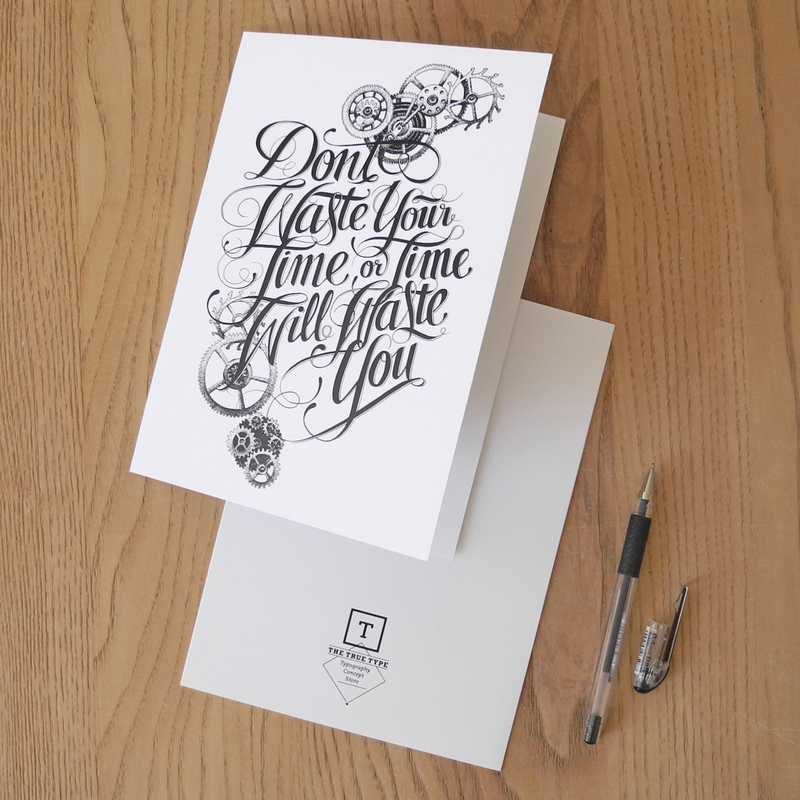 All our prints are hand-lettered, scanned and digitally printed on high-quality paper for a timeless look without the dust.